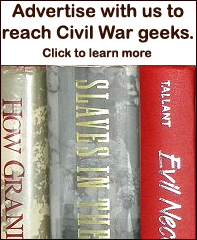 What's new and exciting in Civil War books? Of the tens of thousands of books exploring virtually every aspect of the Civil War, surprisingly little has been said about what was in fact the determining factor in the outcome of the conflict: differences in Union and Southern strategy. In The Grand Design , Donald Stoker provides a comprehensive and often surprising account of strategy as it evolved between Fort Sumter and Appomattox. Reminding us that strategy is different from tactics (battlefield deployments) and operations (campaigns conducted in pursuit of a strategy), Stoker examines how Abraham Lincoln and Jefferson Davis identified their political goals and worked with their generals to craft the military means to achieve them–or how they often failed to do so. Stoker shows that Davis, despite a West Point education and experience as Secretary of War, failed as a strategist by losing control of the political side of the war. His invasion of Kentucky was a turning point that shifted the loyalties and vast resources of the border states to the Union. Lincoln, in contrast, evolved a clear strategic vision, but he failed for years to make his generals implement it. At the level of generalship, Stoker notes that Robert E. Lee correctly determined the Union’s center of gravity, but proved mistaken in his assessment of how to destroy it. Stoker also presents evidence that the Union could have won the war in 1862, had it followed the grand plan of the much-derided general, George B. McClellan. Arguing that the North’s advantages in population and industry did not ensure certain victory, Stoker reasserts the centrality of the overarching military ideas–the strategy–on each side, showing how strategy determined the war’s outcome. This entry was posted in Booknote. Bookmark the permalink.